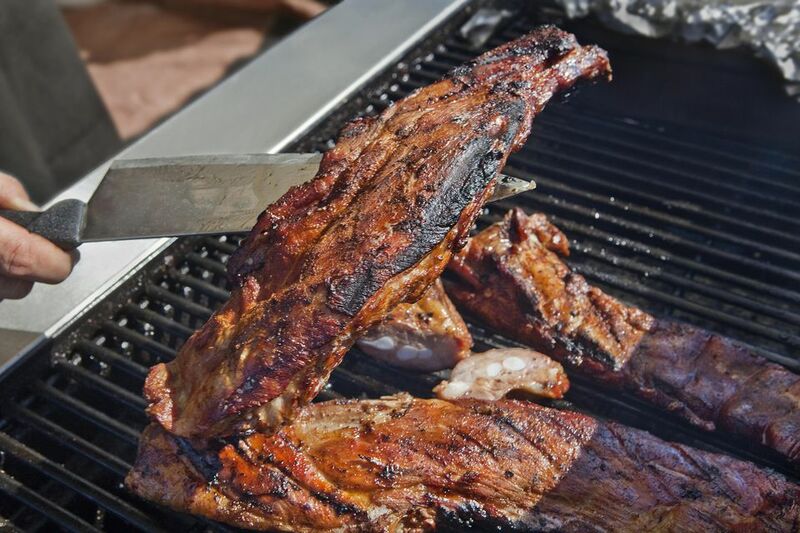 This is a delicious grilled pork tenderloin recipe with a southwestern flare. What you end up with is a saucy tenderloin packed with flavor. To prepare marinade: combine all ingredients, except pork, in a large saucepan. Bring to a boil, remove from heat and let cool. Place pork tenderloins in a shallow pan, pour over marinade. Cover and marinate in refrigerator for 2-4 hours. Remove tenderloins from marinade. Make sure to reserve marinade for later use. Preheat grill. Place pork on grill rack and cook over medium high indirect heat for 35-45 minutes. Brush occasionally with reserved marinade during the first half of the cooking time only. Once internal temperature of pork reaches 165 degrees, it is done. Remove from heat and let stand for 10-12 minutes before slicing. Southwestern-Style Rotisserie Pork Tenderloin with a Kick! How Do You Grill Bacon-Wrapped Pork Tenderloin? How Do You Grill Delicious Hawaiian Pork Tenderloin?